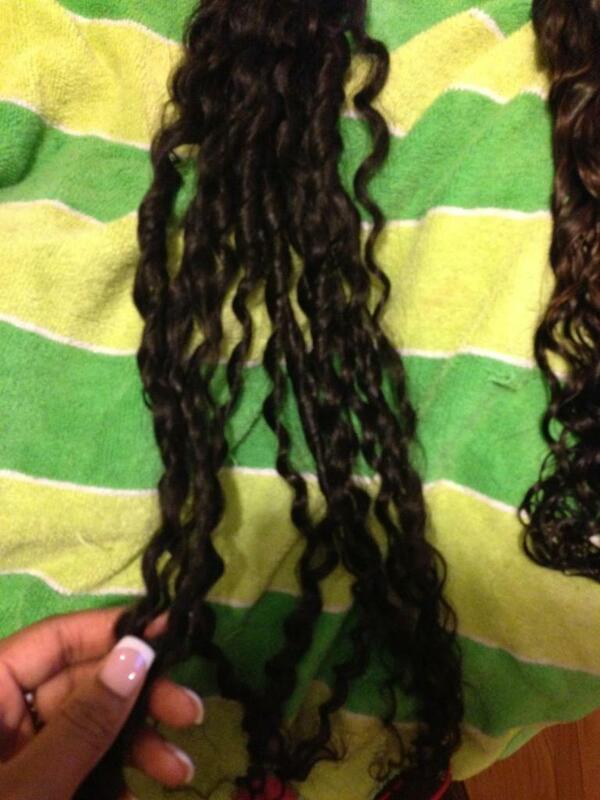 Is your weave tangled? Matted? Unrecognizable? Well guess what? There’s hope! Here’s a way to bring your weave back to life and prep it for your next install, extending the lifetime of your weave while saving you some coins. Once detangled, soak the hair for about 20 minutes in Apple Cider Vinegar diluted with water. This will work as a cleaning agent to get rid of the buildup on the hair and clean the wefts. If you are attempting to revive while your hair is installed, you can put the ACV mixture in a spray bottle and spray it on to the hair and leave it. Yes, I know it smells but that goes away once you’re all rinsed out. Next is the wash. First rinse out the ACV mixture from your hair. Remember, this is hair not laundry so you want to make sure rinsing from top to bottom and not scrubbing as scrubbing with cause even more tangling. Then get a gentle clarifying shampoo to finish removing the buildup of product on the hair. You can use Suave Clarifying Shampoo. This is inexpensive (usually $0.99) and can be found at Walmart, Target, and even the dollar store. You’ll probably start seeing some brown as you lather and rinse. This is normal and a good thing. It means the build up is going BYE BYE. Do another shampoo. But this time, shampoo with Silicon Mix. Silicon Mix is the defibrillator for a weave on life support. Do a good shampoo/soak with this and rinse. You will see your hair come back to her old beautiful self. Now that you’ve shampooed, let’s condition. Apply your conditioner of choice and let it stay on your hair for about 20-30 minutes. If your hair is installed, put on a plastic shower cap and let it sit. If you want to penetrate the hair even more, sit under the dryer. For hair that is not installed, place the conditioned hair into a plastic zip lock bag and let it sit. You can apply heat if you would like to as well. Once the hair is conditioned, rinse thoroughly and let air dry. Your hair will be soft and manageable and ready for styling or your next install. TIP: If you are installing this hair, seal the wefts just to avoid any shedding. Is Silver Gray Weave Still a Trend in 2016?